When starting the divorce journey, you may find situations arise that you don’t have an answer for. 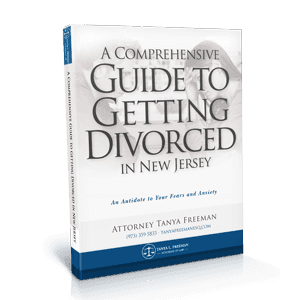 The Comprehensive New Jersey Divorce Guide was created by Jersey City Divorce Attorney Tanya Freeman to help residents gain a perspective on the difficulties that many face while going through the divorce process. >> Where and when can I file for divorce? You don’t have to go to the county where you were married to file for divorce. You can file for divorce in the country where you’re living on the day of your filing. If you move outside that county after filing, that county’s court will still handle your case. There is, however, a restriction on when you can file. Except in cases of adultery, New Jersey law requires you to have lived in the state for one year before filing a complaint for divorce. >> I’ve been served divorce papers. What do I do? If a process server and sheriff come your residence and served you with papers, you will have 35 days to answer the complaint. You can ask for an extension, but really, your focus should be on finding a qualified attorney. Your spouse has an attorney and has already decided what he or she wants to get out of the process. You should select a divorce attorney, read over the complaint carefully, and think about what you want to counter. You will discuss these things in your first consultation. >> What should I look for in a divorce attorney? >> What should I ask my attorney before moving forward with the divorce? 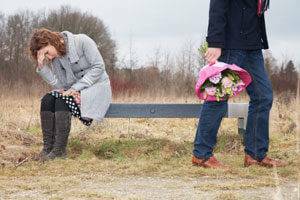 >> How long will the divorce process take? >> What should I bring to my first consultation? >> What are the steps in the divorce process? >> Will I need to go to court for my divorce? >> Can we live in the same house during a divorce? >> How should I approach social media during the divorce process? There are no limits on what you can “discover.” You can even “discover” things like retirements accounts, and request detailed letters from employers on bonus structures. Through a process of “interrogatories” – questions asked and answered under oath – you can ask about spending and assets as well as lifestyle (if alimony is involved), and questions pertaining to custody. >> I think my spouse is hiding assets. What do I do? >> What comes after the discovery phase? If you have younger children, does the settlement agreement account for the changes in their lifestyle, education, and health that will occur over time? Many divorced couples end up returning to their attorneys to re-litigate things like tutors, SAT prep, driving lessons and car insurance, college, and orthodontia. A New Jersey family lawyer can help you think through these questions in advance, and get you a “one and done” settlement. >> Will mediation work for me? Most people who are getting a divorce end up with a negotiated settlement after mediating at least some issues. Even in many cases when both parties think they’re going to trial, at some stage in the process, one party will retreat and accept a compromise, coming eventually to a negotiated settlement. In any case, after the discovery phase, you should sit down with your attorney and map out your wishes and possible outcomes. Mediation begins with each side advancing a position. You should go in with three options: a best-case scenario, an “I can live with this” option, and a bottom line. This can help you come to understand what you value most, and what’s worth litigating. In almost all situations, it’s better to mediate than to hand the final decision over to a judge. 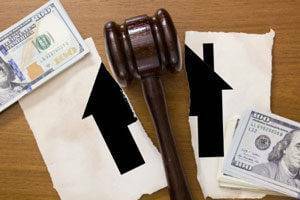 A few states consider debts and assets in a divorce to be “community property,” shared equally by both parties in a marriage even if only one of them is working, or if there are major imbalances in earning and spending. 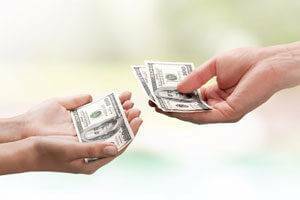 Splitting 50/50 is usually less time consuming, though things like credit card debts – shared along with everything else – sometimes come as a shock to one of the parties. A New Jersey divorce attorney can help you identify your debts and assets and understand how they might be divided in court. Many New Jersey divorce lawyers talk about debts and assets under equitable distribution in terms of a pot – so, what goes into the pot, and what doesn’t? In general, debts and assets accumulated from the day of your marriage until the day one of the parties filed for divorce are subject to equitable distribution. This might include income, savings accounts, retirement accounts, stocks, a house, other properties, a business, even gambling winnings. People often think – wrongly – that any account opened in one party’s name belongs to that party alone. In fact, if that account accumulated value between the date of the couple’s marriage and the date one party filed a complaint, it is still subject to equitable distribution. Even book royalties and one partner’s frequent flier miles are subject to distribution. In some cases a spouse will attempt to make large purchases, shift or even give away assets, or change beneficiaries on life insurance policies in attempts to get around full equitable distribution. If you fear this might be the case, you may want to have your attorney file an Automatic Temporary Restraining Order. ATROs prevent both parties from selling, transferring, or borrowing against property, selling or modifying insurance policies held for the opposite party, changing a bank account, or destroying or hiding assets. They offer an additional advantage should any forensic accountant become involved, making that expert’s job easier. In many states, a party seeking a divorce can file for an ATRO simultaneously with a divorce complaint, but in New Jersey a judge won’t issue an ATRO without a hearing with both parties present. One party’s inheritance does not count as a marital asset and is not subject to distribution, unless the inheritor “used” the inheritance “for” the marriage in some way. >> How do we divide all the stuff in our house? Gifts, emotional attachments, and heirlooms all complicate the division of marital property. However, the disposition of personal belongings is guided by a few general, commonsense rules. Obviously shared items have to be divided – these include electronics and appliances, furniture, and artwork. Gifts do not generally count as marital assets – so if your wife buys you an expensive watch for Christmas and files for a divorce after New Years, you’ll get to keep your watch. Items clearly associated with one spouse’s interests or hobbies – think fishing rods and golf clubs, easels and paintbrushes – will go to that spouse. Heirlooms and inherited items will also go to the spouse for whom they were intended. Although attorneys, mediators, and in some cases judges will become involved in resolving any disputes, it’s best – and less expensive – if the parties can come to an agreement without involving counsel. >> What happens to premarital assets? What constitutes a “premarital” asset can sometimes be difficult to determine, unless a spouse took measures to keep an asset strictly separate over the course of a marriage. If you have a bank account before a marriage and add your spouse onto that account, it will be difficult to figure out what part of that account is “premarital” and what part is “marital.” If you have a 401(k), get married, and decide to dissolve that marriage after 20 years, you must have a statement from before the marriage to demonstrate what was in that account – and you may need to hire a forensic accountant to calculate that money’s growth during the marriage, and an equitable division of its current value. >> What happens to our house? What happens to your home depends mostly upon you and your spouse. In some cases, spouses decide immediately that they want to put a home on the market and split or escrow the selling price – each is sure that he or she doesn’t want to or can’t afford to maintain the property. Children are an important factor. If one child is entering his or her senior year of high school, for example, one parent may want to keep the home for that year to provide some stability or stay within a certain school district. Proximity is also an issue. One spouse may want to keep the marital home because of its nearness to a workplace. In some cases, a spouse wants to keep an inherited home. In the case of domestic violence, the court will issue a restraining order separating the parties immediately. However, in some cases, parties live under the same roof until the day the divorce is finalized. Ultimately, the determinant will be financial. If neither party can afford to keep the home, or can’t manage to get a mortgage refinanced, you must sell the property. >> What if we purchased a home together before we were married? Couples often purchase a house or condo together before they’re married. Because of this, it’s a good idea to have some sort of prenuptial agreement accounting for the exact scenario of the purchase. If each contributed $50,000 to a down payment, and that’s documented, it will make things much easier in the case of a divorce. If there was a disparity in funding the purchase, or if one spouse funded the purchase completely, this complicates the issue, and a judge or mediator will consider more factors, such as the length of the marriage. Alimony, or, spousal support, is a payment from one spouse to another spouse. It doesn’t necessarily mean that one spouse stayed at home or didn’t work. Alimony is usually decided after distribution of assets. Even though the distribution of assets must be “equitable,” equitable doesn’t mean equal – for example, a non-working spouse might benefit from a large share of a bank account, retirement savings, and other assets, but suddenly be saddled with an equivalent share of mortgage and credit card debt, or the prospect of paying for a child’s healthcare and education. One spouse may have given up a career or an education for the marriage, and be unprepared to reenter the workforce. 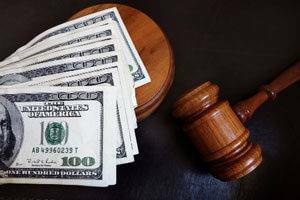 Courts order alimony in cases of significant disparity between incomes. There is no threshold for this disparity – instead, alimony depends on factors such as lifestyle, the dependent spouse’s needs, and the other spouse’s ability to pay. Answers to the obvious questions – How long and how much? – depend upon these case-specific factors, especially the marital lifestyle. >> Are there different types of alimony available? When a husband and wife decide to divorce, their decisions rarely affect them and them alone. You are dismantling a nuclear family – that decision will ripple through the rest of your family and your friendships. Most importantly, it will affect the lives of your children. To some extent, all of the decisions in a divorce – including the division of property and assets – revolve around children, because both spouses will want to prioritize their children’s stability. You’ll want to work with an attorney that can assist in coming up with creative solutions to ensure their stability and wellbeing. >> Should we go through mediation to decide child custody? >> How do I choose the right form of child custody for my children? Physical Custody: This pertains to where the children will live. While it’s possible to have a 50/50 physical custody arrangement, you have to think hard about the feasibility of this option: complicating factors include the proximity of both parents’ residences, career obligations, etc. Generally in New Jersey there will be one “parent of primary residence” – the “custodial parent” – and one “parent of alternate residence,” allotted a certain amount of time with the children. There are countless ways to split this time up, accounting for holidays, summers, weekends, weekday dinners, and travel. While you have legitimate desires to be acknowledged in these decisions, it’s important here, as with all other decisions directly pertaining to the children, to put their interests first. >> What factors decide parenting time and visitation? >> Who gets the children on holidays? Divorces disrupt family traditions established over years. You want to keep that tradition, but you have to share it with your former spouse. There are many creative ways to reach an agreement on how to share the holidays. Some are easier: Mom gets Mother’s Day and Dad gets Father’s Day, as well as the respective birthdays. But what about Christmas Eve and Christmas Day? The eight days of Hanukah? New Years Eve? How will both parents get to share in the experience of their children’s’ birthdays? >> What if one parent wants to travel abroad with the children? When one parent decides to take children on a trip abroad after a divorce, this often leads to conflict, stress, and re-litigation. It’s best to anticipate this issue and came to an agreement in mediation. Can you anticipate reasons for the children travelling abroad – like family members in other countries? Is there a fear that one parent might flee the court’s jurisdiction with the children? If you feel this way, you should notify your attorney at the start of the divorce process, so your attorney can inform the judge at the proper time. Consider, too, that both parents have to agree before children can obtain passports. If your children don’t already have passports and you anticipate wanting to travel abroad, make sure you broach the subject in mediation, and try to avoid re-litigation. >> What if one spouse wants to relocate out of New Jersey? Relocating with minor outside of the State of New Jersey is one of the most difficult legal battles a divorced person, or person seeking divorce, can face. The court considers many factors in response to a request to relocate outside of the jurisdiction, including the child’s ties to the community, any extended family members who live in New Jersey, and how this move will impact the non-moving parent’s custody and parenting time plan. >> Both my spouse and I work outside the home. How will we handle child care? If both parents are working outside the home, you’ll need to consider work-related childcare expenses in any child support calculations. Daycare, for example, costs a weekly set amount. School-aged children requiring care before or after, or summer camp expenses, are slightly more complicated, but not hard to factor into a settlement with the help of a attorney. >> How do we account for medical expenses? >> My child attends private school. How will we pay for tuition? If your child has been enrolled in a private school for some time, the tuition will be an important factor to bring up to your attorney and to discuss with your spouse before settlement. Recurring tuition payments will have been well-documented and easy to calculate into the future. Complications arise with very young children. One parent might want that child to attend a private school, while the other disagrees. Resolving these conflicts is sensitive and fact-specific – many factors determine whether the parent of alternate residence, or both parents, will be responsible for the decision, and for the payment of private school tuition. Seek the counsel of a attorney to help you work through these questions. >> How do we account for extracurricular activities? >> What happens when our child starts driving? Who pays for insurance? Especially with young children, parents going through a divorce can forget about seemingly far-off expenses, like car insurance. A New Jersey divorce attorney can help you plot out and think through these things in advance. When a child gets a learner’s permit, the car insurance for the household in which the child primarily resides will go up significantly. Driving school will be an additional expense. Some parents also anticipate buying a child’s first car. You and your spouse need to come to an agreement about these costs in advance, to avoid relitigation. >> How can we plan for something as far-off and unpredictable as college costs? College costs can be hard to factor into a divorce settlement, because so many factors come into play. College costs range widely depending on whether or not a young person attends a private or public, in-state or out-of-state school. The total cost will range from tens to hundreds of thousands of dollars. One parent might expect to pay all or part of a child’s college expenses, while the other might expect the child to pay his or her own way through a degree. If your child isn’t near college-age, you’ll still want to put a placeholder in your settlement stating your intent. If you wish your child to go to a state school, to attend your own alma mater, or to choose his or her own dream school, and in any case expect your spouse to contribute to the cost, that might not be enforceable, but you should still put it in the official statement. >> How long will child support payments continue? Your attorney probably possesses the same software that the courts use to calculate child support payments, based on both the mother’s and father’s incomes, and can give you a reasonable estimate of the cost. In the State of New Jersey, child support continues until a child is “emancipated.” This isn’t determined by age alone: it occurs when your child graduates high school if he or she isn’t going on to college, or is delayed until he or she graduates from college. Actually, you and your spouse have some say over emancipation. Will you give your child four years to graduate college, or five? Your settlement agreement should have some placeholder to account for emancipation, setting an end-date for child support that you negotiate up-front. >> Can I modify a child support agreement? So much can change in a child’s life and in your own circumstances that could make you want to modify a child support agreement. The most common reason clients seek to modify a child support agreement is the loss of a job. However, this circumstance alone doesn’t mean that a judge will relieve you of your child support obligations. As a parent in New Jersey you are required to support your child all the way through to emancipation. The considerations that would go into modifying a child support agreement are fact-based and case-specific. If you’re wondering about the possibility of modifying a child support obligation, you should contact a divorce attorney. In some cases, age isn’t a determining factor. If the victim and alleged perpetrator share a child, if one of the parties is pregnant with the other’s child, and if one of the parties believes they will have a child, the age restriction is void. Also, if the parties are dating and the victim is under the age of 18, any of the acts above would still classify as domestic violence. If you or a person you know has suffered domestic violence, get to safety, treat any immediate medical needs, report the incident to the police, and then call a family law attorney. >> What are the consequences of domestic violence? The State of New Jersey mandates arrest if law enforcement officials take a criminal complaint, seeing evidence of domestic violence. Officials may also seize any weapons in the alleged perpetrator’s possession for safekeeping, or if a court grants the victim an order for the seizure of any specific weapon. >> I’ve been charged with domestic violence. What do I do? A charge of domestic violence in new Jersey can have a permanent and devastating effect on your life. If convicted, it could result in jail time, the loss of your job, hindrance to finding a new job, and social stigma. You must not violate a protective order. If you violate an order knowingly, the court could find you guilty of criminal contempt, unless the violation is related to parenting time, monetary compensation, psychiatric care, or giving specific property to the victims. The court could order up to 18 months in jail and a $10,000 fine. Multiple violations hold a minimum 30-day jail sentence. If you’re facing an accusation of domestic violence in New Jersey, you need to take the allegation seriously. Do not wait to contact a lawyer specializing in domestic violence cases. When you come to your consultation, bring a copy of the complaint and a copy of the police report as well as any other relevant documents. If you are starting the divorce process, or have questions about what to expect, contact New Jersey Divorce Attorney Tanya L. Freeman for guidance. This entry was posted in Divorce, Family Law Guides, Featured, New Jersey Family Law Blog. Bookmark the permalink.